There’s another exclusive furniture collection out, this time launched by CoutureLab. 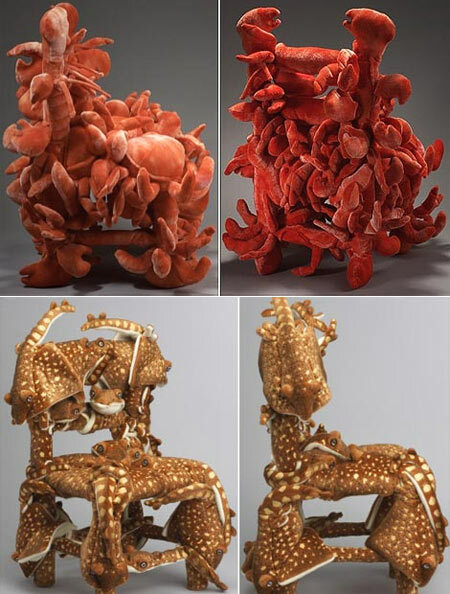 It’s a set of sculptured miniature chairs coming from the inventive mind of Christian Astuguevieille. 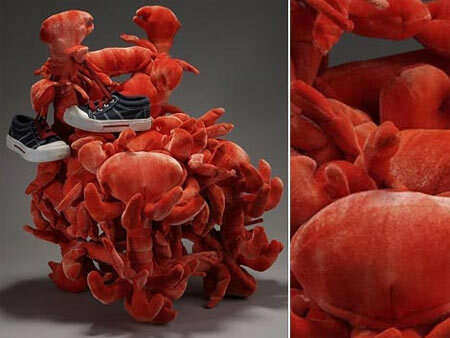 They are handcrafted affairs made from chestnut and going by a mouthful of a name Christian Astuguevieille Manta Ray and Crabes Langoustes chairs. There is a soft and piquant side to them for they are pasted all over with bean-bag toys to which they owe their strange shapes and velvety look making one want to touch them. 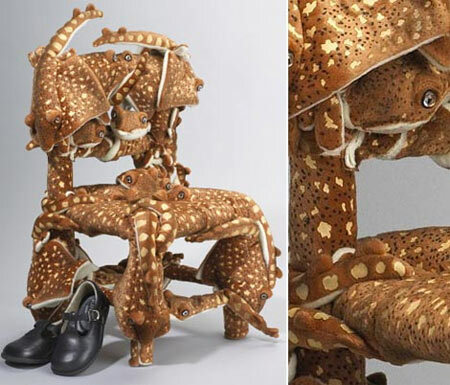 Naturally they are nothing more than a decoration being 45×38×53 cm in size, but the price makes them an expensive kind of toy – paying $850 for such a chair is definitely paying through the nose!